A little over 3.5 years ago, I had taken stock of my life, and came to the realization that my life wasn’t really unfolding the way I had hoped, and that I was not heading in the right direction. So I made some significant changes, which I felt were bringing me back into alignment with my own spirituality and had some awakenings as a result. I made changes to human relationships, particularly within my family circles, I changed priorities in life, streamlined my professional vocation, made some lifestyle changes, entered into new relationships, eliminated hurtful relationships (personal and professional), and immediately started becoming more ‘aware’ and more ‘awake’. Over the past 3.5 years, I’ve also had a series of epiphanies regarding my state of well-being and physical health (or rather the decline thereof) and I decided to take personal responsibility by regaining control over what I put on or in my body. It’s been a very difficult journey. In the past 3+ years, I’ve consciously tried to undo what essentially 35 years of neglect have done to me. I grew up in normal middle class family environment, only-child, whose parents did they best they knew how to do with what they had and within their abilities. 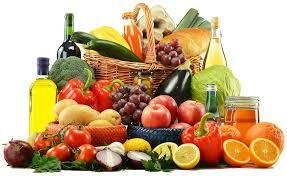 Often our food-budget was very tight and wholesome, healthy foods were not the 1st choice. Most of my human existence of nearly 40 years, I had exposed my body to many chemicals and all sorts of processed foods and substances introduced into our food by so-called industrial progress. By my mid-30’s, due to my sedentary lifestyle and consistently poor diet, I already was well on my way to being at risk for health problems. I was more than moderately obese, pre-diabetic, had high blood pressure, less than ideal cholesterol, issues with joint mobility and flexibility, poor sleeping habits. The list goes on and on. I was addicted to sweets, junk food, snacks, fried food, anything that made feel good (briefly) while eating them. I realized it was time for some serious changes. I essentially eliminated my intake of chain-restaurant food, fast junk food, processed snacks and candies, soda beverages, and drastically reduced my intake of fried foods. 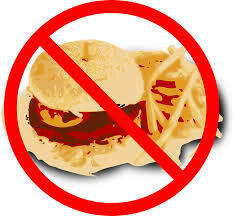 Next I began to substitute processed food items for their more organic, natural, less-tampered-with alternatives. None of these changes happened overnight, or “cold turkey”. All of these changes occurred in a “weaning-off” approach. Every time I would eat out, or go food shopping, I would make more conscious choices and attempt to really choose those things I deemed most beneficial or most health-conscious, making some reasonable concessions here or there. Sometimes opting for something grilled or broiled over fried would suffice. I also started analyzing my body, with some medical assistance, and came to realize that carbohydrate-heavy items, such as bread, pasta, and potatoes, and other high-starch items, were my #1 enemy aside from artificial sugars. So I made changes in those departments as well. I also learned that while my body needed SOME carbohydrates, I usually fared best when consumed in modest amounts no later than mid-day. I added significantly more raw vegetables and raw fruits to my daily diet, often in form of freshly-made juice, consumed within minutes of juicing. These simple changes have drastically reduced my blood pressure, my resting pulse, my cholesterol, improving my overall vascular health. Frequent headaches of the past were no more. My vision improved. My concentration improved. My skin improved. My waist-line and my joints thanked me. My energy increased. My sleep improved. My mood-swings diminished and have all but vanished. I am very mindful that this is an ongoing process. I not yet “done”, nor will I ever be. It takes work and dedication. Believe me, I LOVE FOOD! sometimes NOT having something really tempting and tasty feels a bit like ‘sacrifice’, but thinking on the health benefits of making a few, simple and consistent changes, and the Cost-saving factor of NOT having to be on medications is reason enough, aside from LOOKING and FEELING better. I’m still working on improving my health and my body. I’m mindful of what I put in my mouth, what foods I choose to eat and what I drink when I am thirsty (or otherwise). We all know that the key often lies in “moderation”, but it has taken me more than 3 years to learn what that is again. I also make it a point to spend some time out in nature every day, be it my back-yard, in a park, on a lake, by the sea, or elsewhere where you can find some solitude and peace surrounded by mother nature. Just taking that daily time-out to unplug and recharge. I also started making time to improve my physical state of being by taking time from my day, to either take a walk (with my dog), or bike-ride, do modest weight-training. Earlier this year, I finally began training in Krav Maga, which I enjoy tremendously. it’s a great workout, you make new friends, you learn useful potentially life-saving skills.